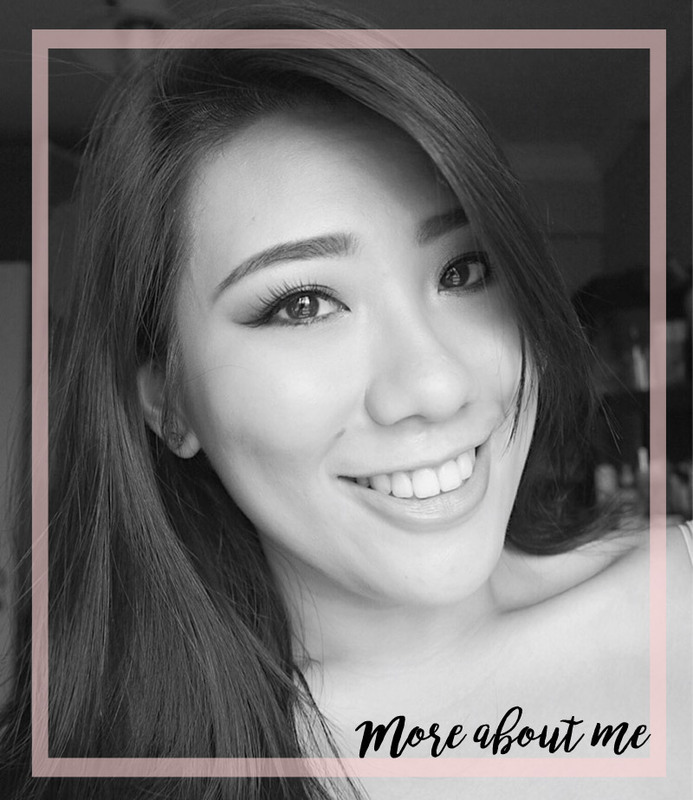 In August, I took up the opportunity to fly to Krabi for a quick 4 day 3 night getaway. 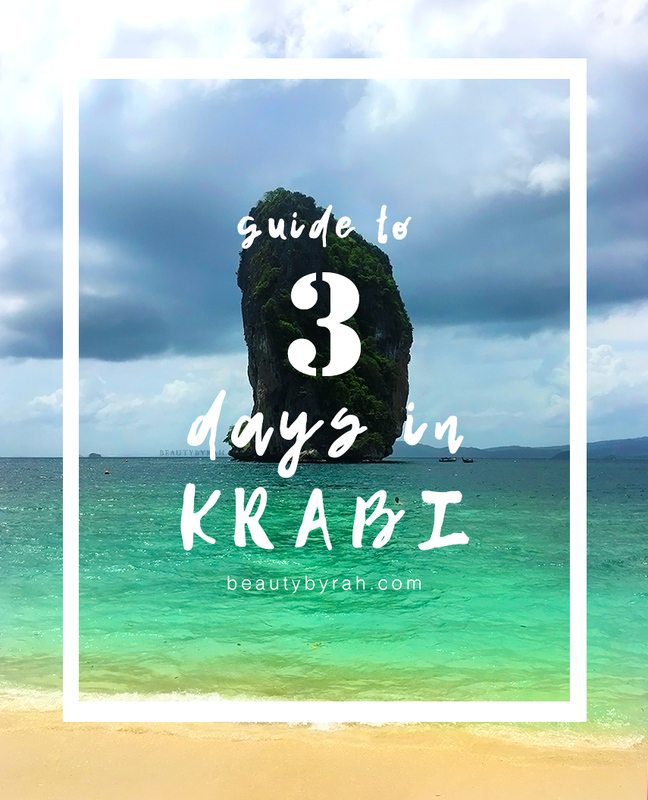 The fourth day really consisted of us checking out and getting to the Krabi Airport, so I am just going to focus on the first 3 days that we spent there. Thailand is a place that is relatively close to Singapore and it is perfect for a quick getaway, especially if you get a cheap flight! There are many affordable airlines currently which make travelling ever so accessible. For example, you can book AirAsia. Krabi is a place I feel is suitable for all families, couples and solo travellers as there is a good mixture of everything. Travelling around isn’t too difficult as well as there are options of Tuk Tuks and taxis. From Krabi airport, you would see taxis and shuttle bus options at the arrival hall. I highly recommend getting the shuttle bus as it is cheaper if you’re a solo traveller or a couple as it was only 150 Baht one way. Also, I believe if you book a return shuttle bus back to the airport with them, your return ride would only be 100 baht so be sure to ask about that discount! 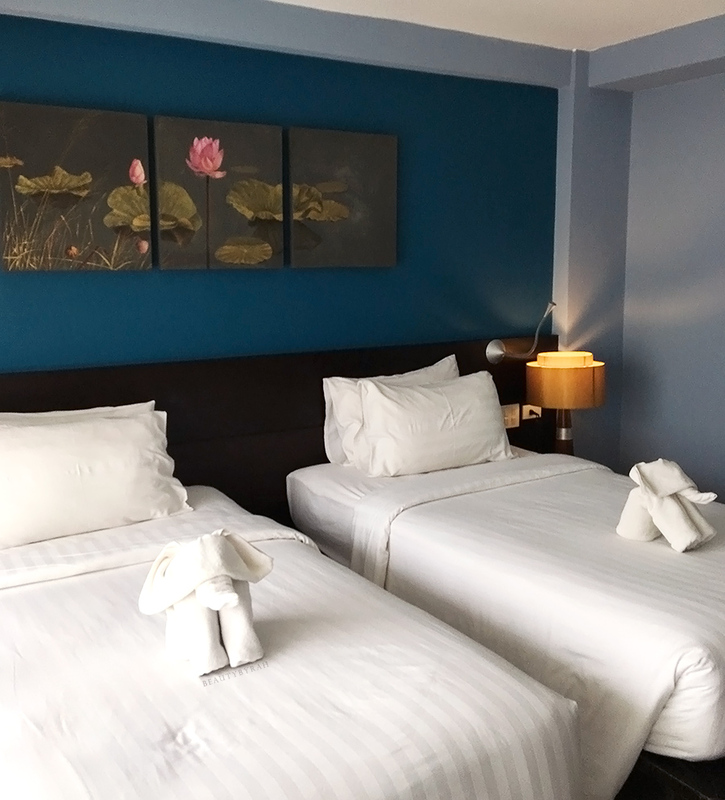 Personally, I found a hotel near Ao Nang Beach and I pretty much walked around my area. I didn’t manage to go this time, but I did see taxis heading to Krabi Town (especially for their Weekend markets!) for 200 Baht. I stayed at Buri Tara Resort which is about a 5 to 8 minute walk to Ao Nang Beach and about 5 minute walk to Nopparat Thara beach. The hotel is affordable and decent for the price for sure. Room was clean and beds were comfy. It also come with a bathtub and a separate shower! 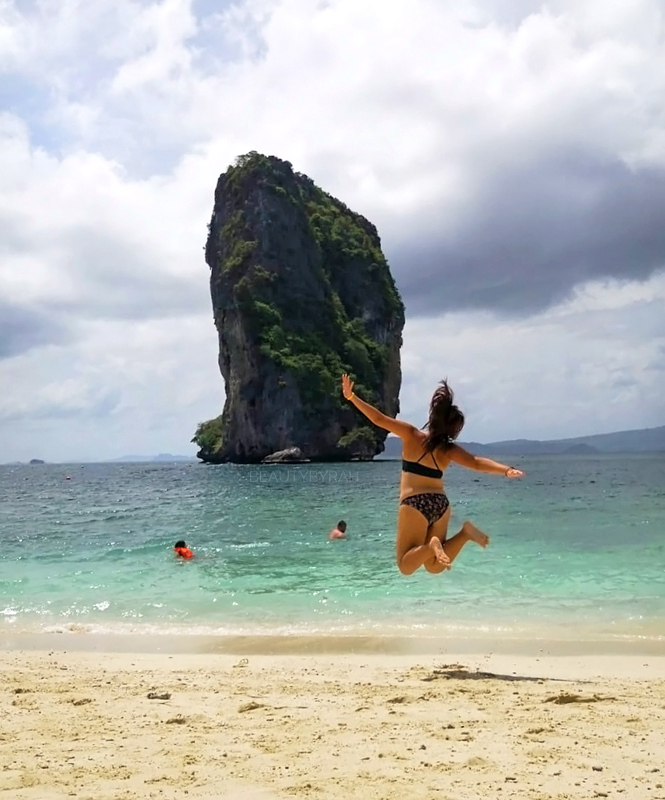 Here’s what I did for the full 3 days in the beautiful province of Krabi. Upon arriving and checking in, we just decided to walk around the area near Ao Nang Beach. There are many stores selling tourist souvenirs along the way. I kept getting myself a fresh coconut to quench my thirst as it was only 50 baht! I am not sure if this is a seasonal thing, but if you keep walking and past Ao Nang Beach to the area near the hotel near Wake Up Aonang, they have this durian cart where you can get three mini durians for 100 baht! That’s about two bowls full of creamy goodness, if durians are your thing. 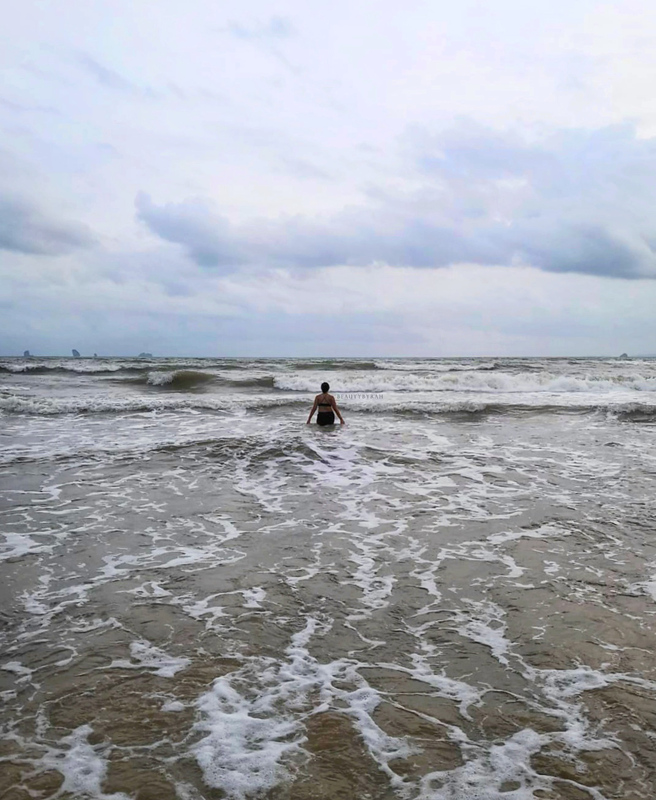 After relishing up the durian and a delish and crispy banana Nutella pancake (store is really close to the durian one/Wakeup Aonang), we headed to body surf in the Ao Nang Beach. It is free and fun! For dinner, I would recommend checking out E San’s Seafood (it’s near the hotel I stayed in, about 3 minute walk from the edge of the beach). The Tom Kha Kai was so good and it was only 150 baht I believe. The dishes were delicious and had that home cooked vibe. It was affordable and satisfying. There are a myriad of massage parlours to choose from, so you will be spoilt for choice. Personally, I do not recommend Alley (I believe it is a chain) as it was probably one of the worst Thai massages I’ve ever had. The lady kept pressing on the wrong points and it just felt lazy and uncomfortable. You have to check out Railay islands and their beaches. It’s stunning. There are tons of shops offering ferries/long tail boats that can bring you there. 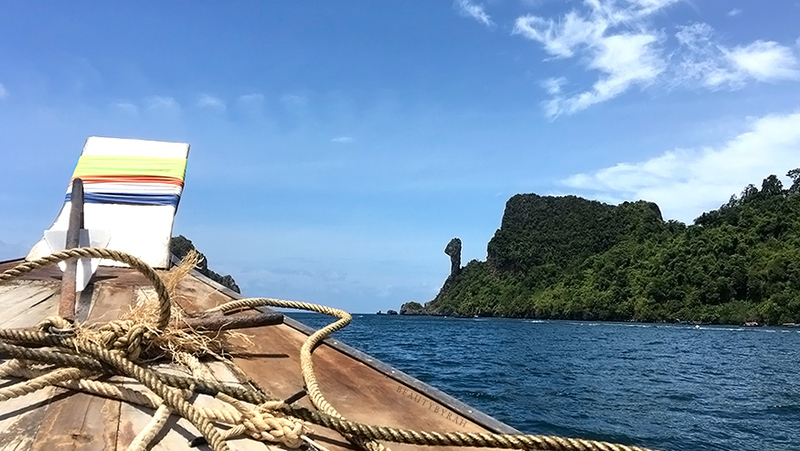 For me, I booked a rock climbing tour that includes a hotel pick up and a long tail boat ride. We decided to take the first ferry in the morning and the last ferry back. This gave us time to explore the island after our rock climbing adventure. 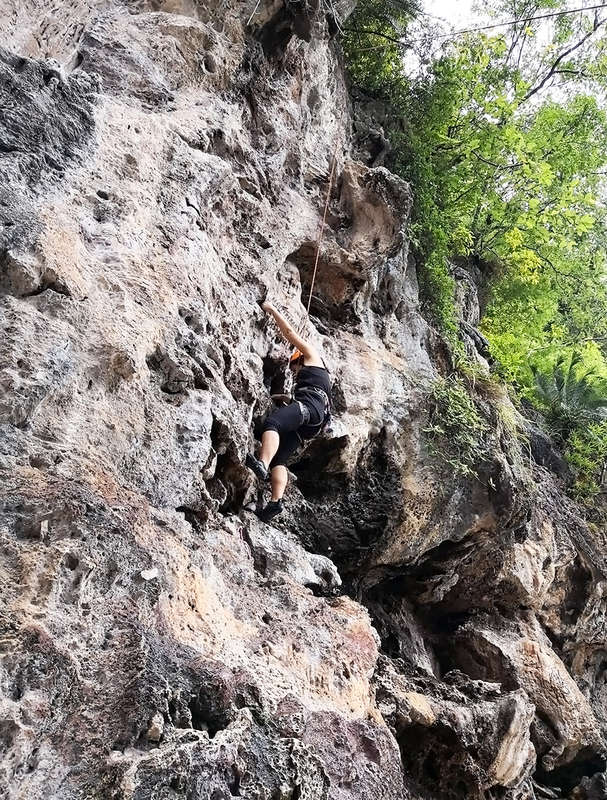 Rock climbing was fun, even if you’re a beginner. Trust me, I was pretty bad at it and kept slipping (the rain didn’t help!) but my guide kept me safe. It is definitely worth a try. 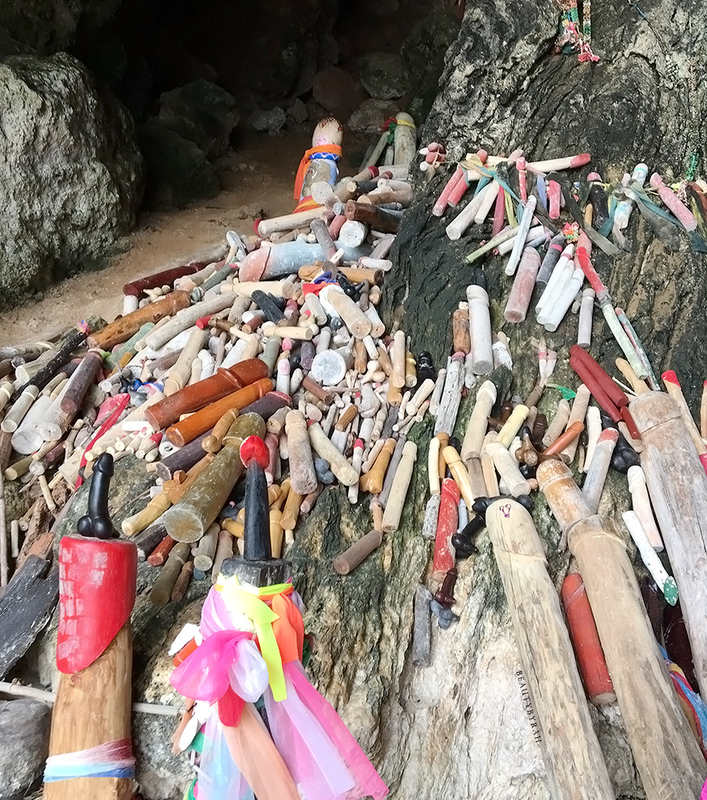 If rock climbing isn’t up your alley, you can venture around Railay island to visit the gorgeous Phra Nang Cave beach. The view here is stunning and you will also chance upon the Princess Cave that contains tons of wooden male parts. 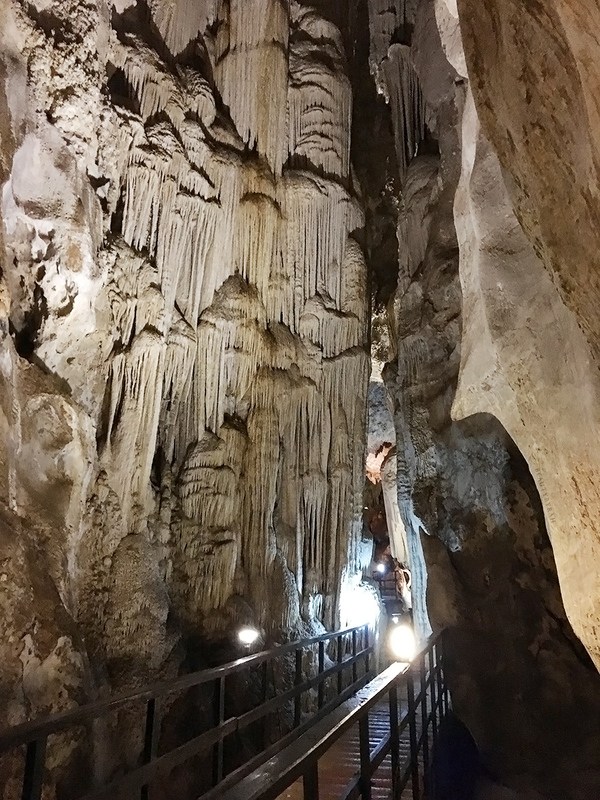 We also visited the Diamond Cave (there is an admission fee of 100 baht) and its worth checking out. 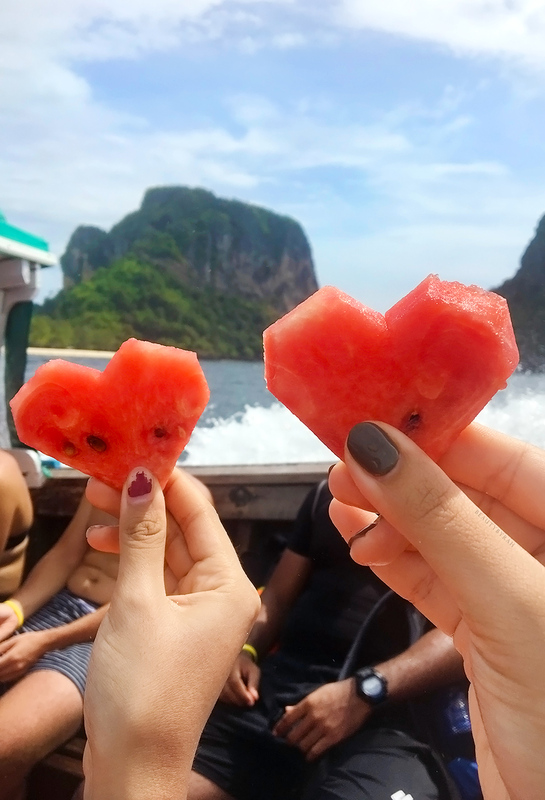 With the ferry back to Ao Nang, we simply walked around and ate tons of snacks. We decided to try Feel Good Massage this time and it was fantastic. However, it does depend on the masseuse as we went back again for our last night, and it wasn’t as great. We booked a 4 island tour and it was definitely worth it. Many shops along the street do offer these tours too, but they are way more expensive. In the morning, we had the hotel pickup which brought us to the pier. There, we embarked on our journey. The first island we visited again was Railay, which I had no complains about as I love that place. I went to swim in the water till time was up and we headed to chicken island for some snorkeling. The gear was provided so I had really no excuse to not try it out. As a first timer to snorkeling, I was quite afraid but I gotta say, it was really cool. There were tons of sea urchins on the ground and some corals. There were some colourful fishes too. Right after, we headed to Koh Tub and Koh Mor which are connected by a narrow strap of sand when it is low tide. Here, the water was crystal clear! Do be careful though, there were tons of rocks on the sand floor as we waded into the water. Last island was Koh Poda with its famous tall rock (as seen in my very first photo!). This was where most tours have their lunch too. Water was pretty clear as well and the view was once again, stunning. Then, we had the journey back. Since it was our last night, we just wanted to relax and chill. We had the option of taking a taxi to Krabi Town to visit the night markets, but we were exhausted. We also did not feel like spending the money to go there and back. Thus, more durians and pancakes for us and I could not be happier. 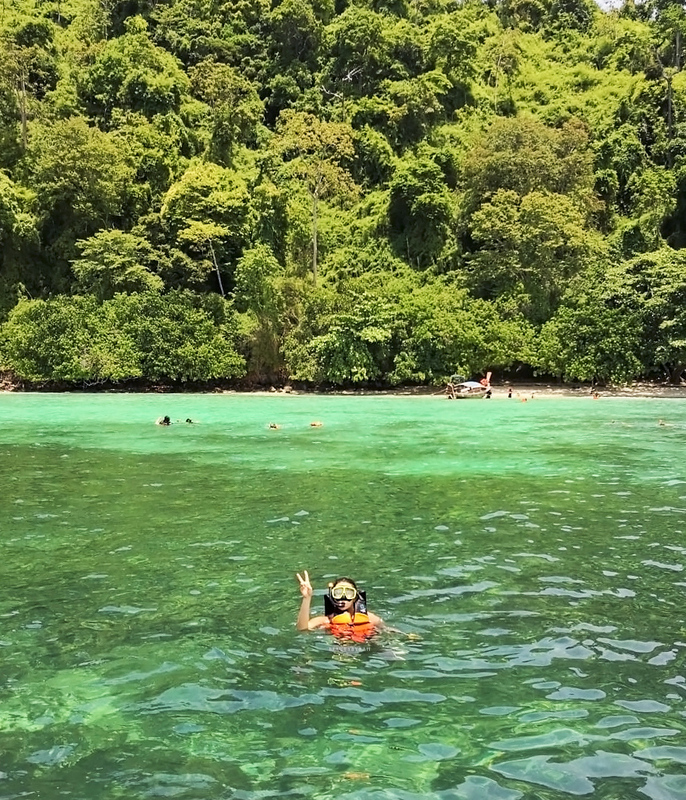 There are so many other things in beautiful Krabi that we couldn’t do, such as hiking up Dragon Crest Mountain (also known as Khao Ngon Nak) and visiting Koh Phi Phi. There are so many islands out there to visit! I would say 3 days is sufficient if you’re mostly interested in the Ao Nang/town area with some day trips to some surrounding islands. But if you really want to explore Krabi’s surroundings (like Khao Sok and the Cheow Lan Lake, which I highly highly recommend, then a few more days would be required). You can check out some pictures from my trip to Phuket and Cheow Lan Lake here. Thailand will always be a lovely getaway and cheap air tickets always make it much easier to get a short taste of paradise. Personally, I prefer settling my tours before I fly so booking online works well for me. There are a myriad of websites to book tours so you can simply google and find some good deals. I hope this itinerary and mini guide was useful in some way of planning your future getaway! Till next time, Thailand. For now, I’ll be counting down to my trip to Melbourne, Sydney and Cairns where I’ll be snorkeling the Great Barrier Reef. I can’t wait!